Today we are bringing you a project close to our hearts. 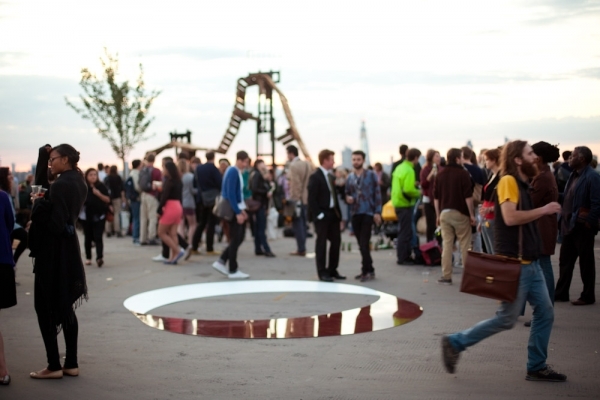 Two of our Directors, Anna and Sarah, run the education programme at Bold Tendencies, an annual sculpture commissioning project based in a multistory car park in Peckham, south east London. So naturally, we think this programme is really rather good, have a look for yourself! A professional development programme for a small group of young people aged 16-18, interested in the arts (particularly the visual arts) as a career. They will have a series of meetings at Bold Tendencies 6 to see some of the process involved with organising the exhibition. Bold Insiders will be encouraged to attend and experience Bold Tendencies events where possible; review them on the blog, interview attendees and evaluate. They will have specific tasks to complete as part of the course, in particular to write a blog of their experiences, review the show, interview key industry leaders, and will attend various events throughout the exhibition. They will also design, programme, manage and deliver their own networking event at the end of the exhibition. You must be able to attend at least 6 of these sessions, preferably including the introductory session and event day. Bold Tendencies, levels 7-10 of the multistory car park.